Ightham House, near Sevenoaks. – "A place rather to be seen than described a poem in architcture, a romance in building made beautiful by the bloom of centuries." 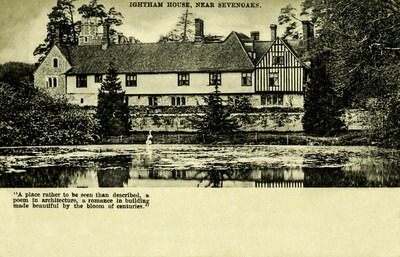 One black and white postcard with an undivided back. The postcard was published by Raphael Tuck & Sons in London, England and printed in Saxony.